I’ve been creating some super easy but super Budget Friendly Meals for breakfast, lunch and dinner lately because…it’s summer and it’s HOT and I’m lazy! I’m not a heat lover and boy it’s been cookin here in the PNW. 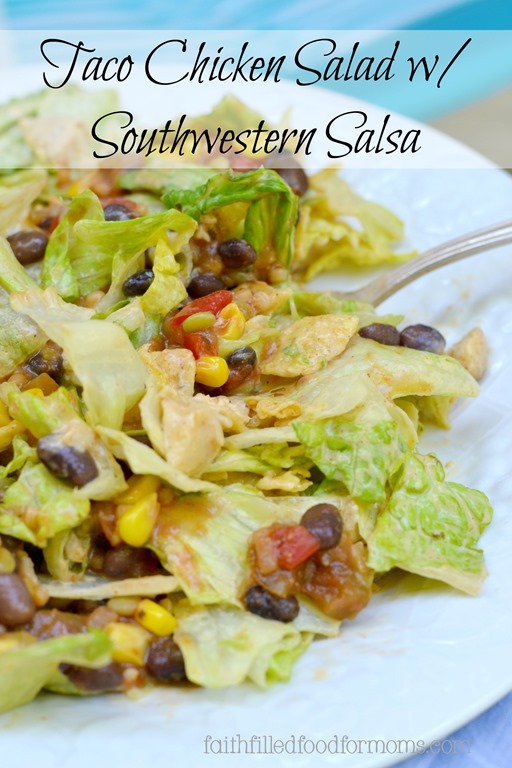 That’s why I LOVE this super easy yet nutritious Taco Chicken Salad with Southwestern Salsa. If you LOVE Mexican fare then you’ll also love this easy Homemade Guacamole too! 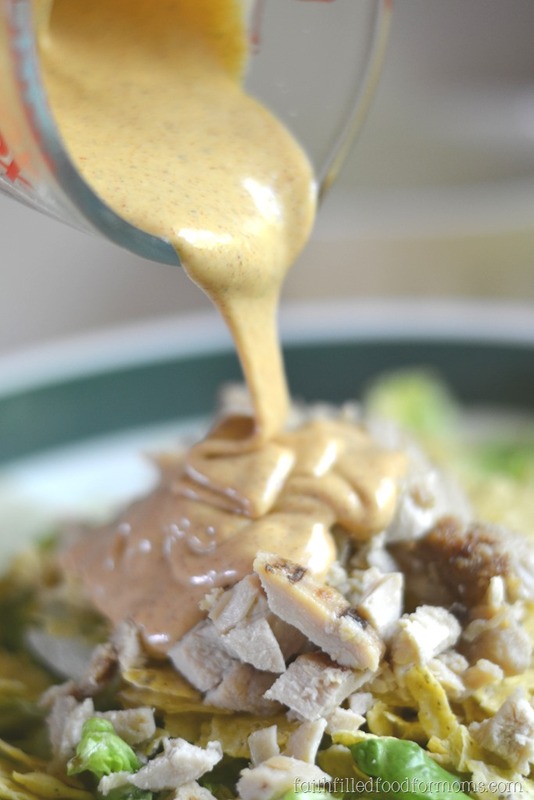 I’m always trying to find ways to create quick, easy and healthy meals since we are always so busy! 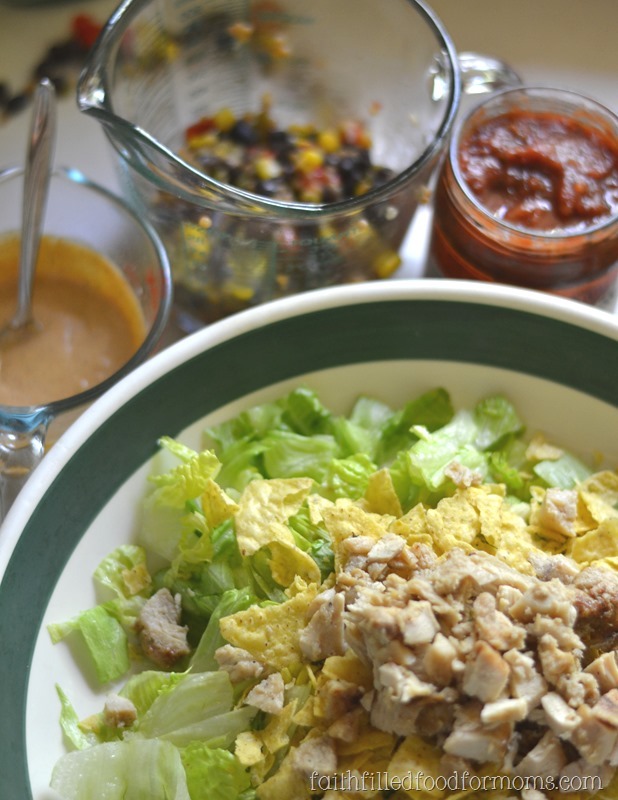 Sooo I am super excited to share my Taco Chicken Salad with Southwestern Salsa that can literally be made in about 15 minutes! YES both of them! I use the Tyson Grilled Chicken Breast Fillets for a million recipes all throughout the year because it’s healthy and already precooked, which = fast! Birds Eye has come out with these yummy protein blends which I’m totally pumped about because I can think of a million healthy dishes to use this for too! With black beans and lentils…it’s packed with protein! For now I’ll show you this quick easy recipe and down the road a spell I’ll share others! Put your Tyson Grilled Chicken Breast Fillets into the microwave for about 2 min. then chop. 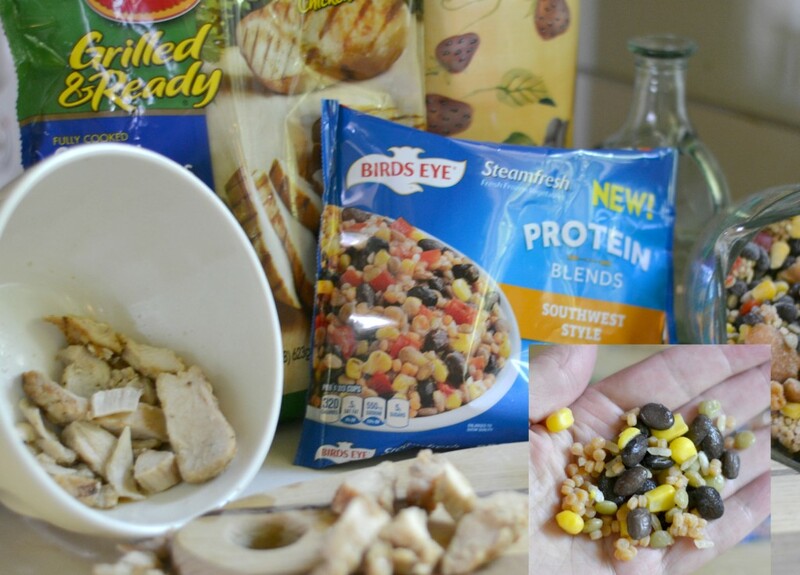 Do the same with the Birds Eye Southwestern Protein Blend (but don’t chop) Set aside. Mix together Ranch Dressing and Taco Seasoning ~ start w/less and add more to taste. 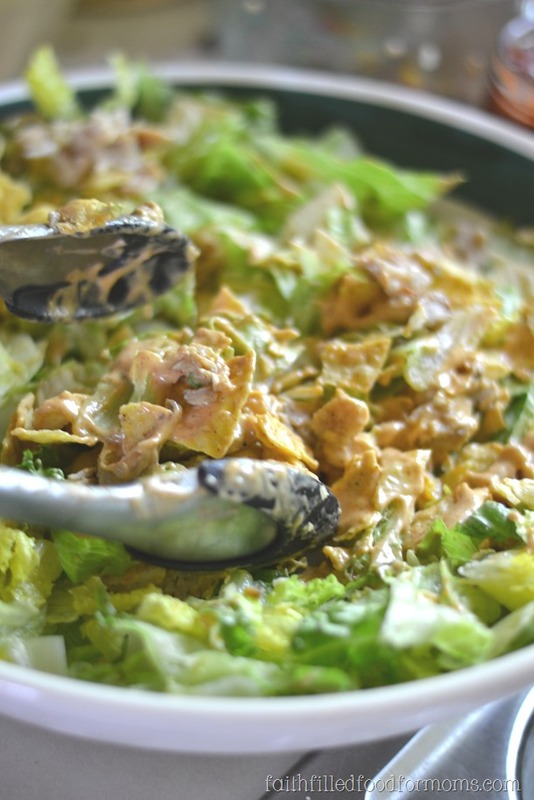 This easy Taco Salad Dressing recipe is a sure keeper for many other Mexican Salads. In large bowl put lettuce, chicken and chips. 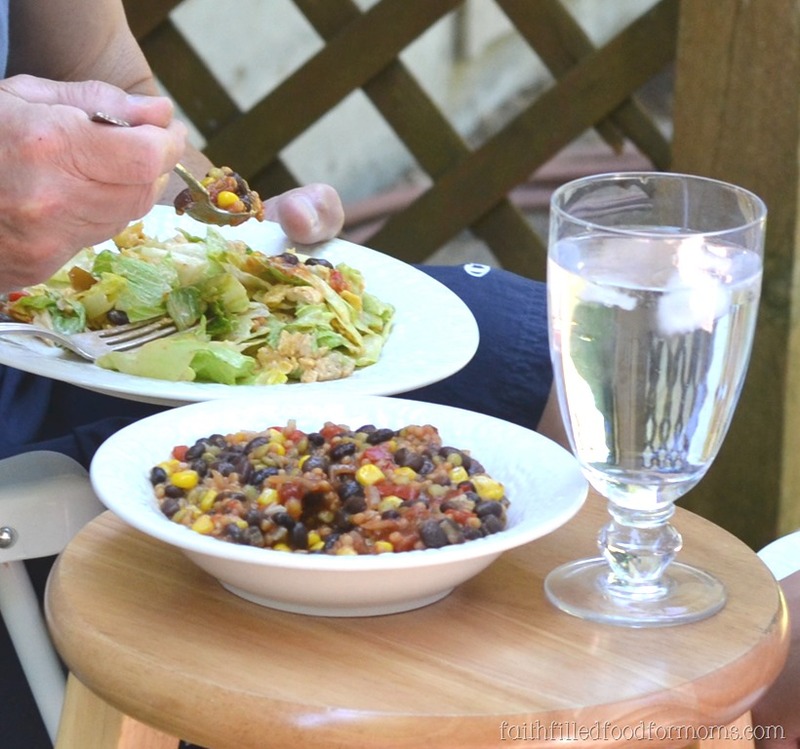 Mix Salad and set aside for just a minute! 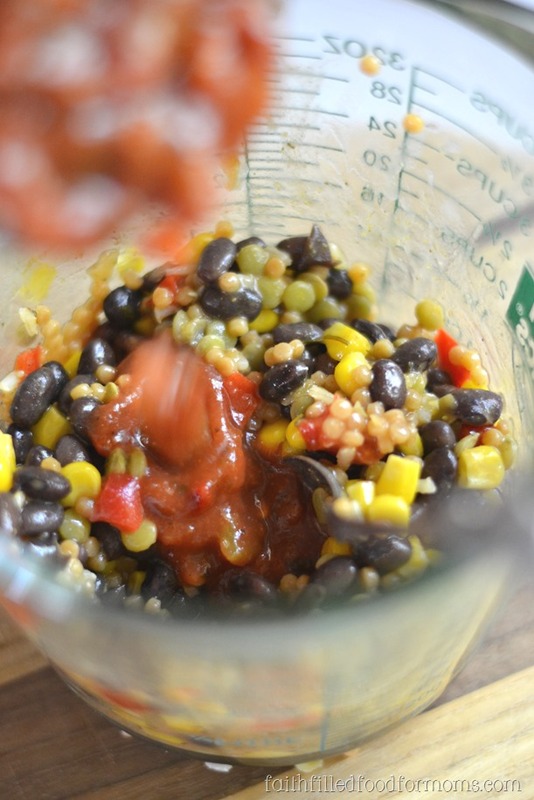 Now grab your Southwestern Protein Blend and mix the Salsa in with it. This is a perfect Spring and Summer Salad that everyone will love! 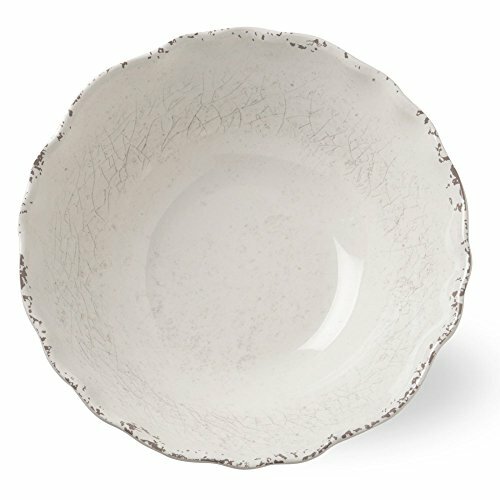 Serve in a fun vintage/farm house style serving bowl and boom…pure elegance! You simply cannot beat a more nutritious and healthy meal that can literally be made in about 15 min.! YUM! Beat the heat AND the time crunch with this easy Taco Chicken Salad w/Southwestern Salsa. 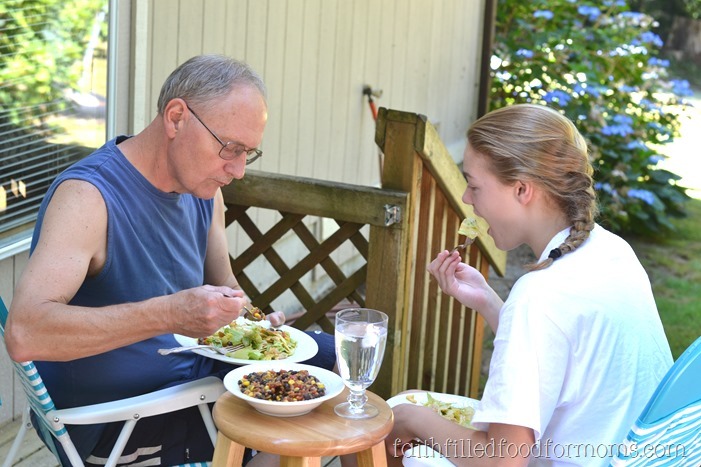 What are your family dinner/lunch faves for this piping hot weather? 3/4 cup Salsa your fave brand! Put your Tyson Grilled Chicken Breast Strips into the microwave for about 1 min. Do the same with the Birds Eye Southwestern Protein Blend. Set aside. 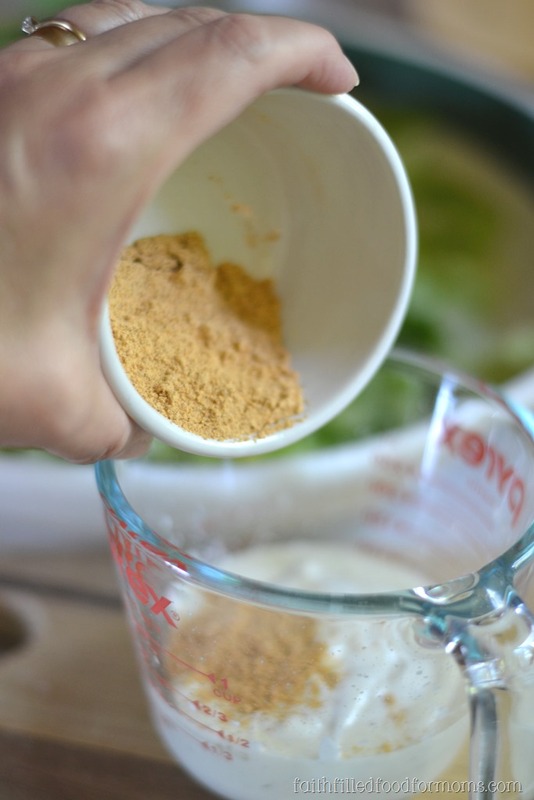 Mix together Ranch Dressing and Taco Seasoning ~ start w/less and add more to taste. Set aside. 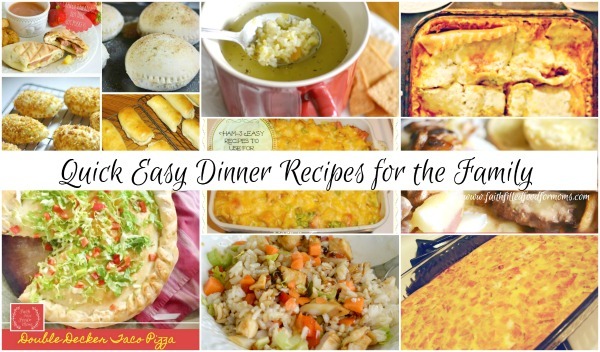 Want more quick easy meals? « FREE 2015 Daily Planner! This looks delicious and so easy. What a perfect summer salad! I’ve never thought of adding taco seasoning to ranch dressing. My whole family would eat this. I’m definitely trying it :). Thanks! This salad look yummy. It is a light dish for summer but still has a kick of flavor. We would really like this at our house. Thanks for sharing. Visiting from Missional Women.